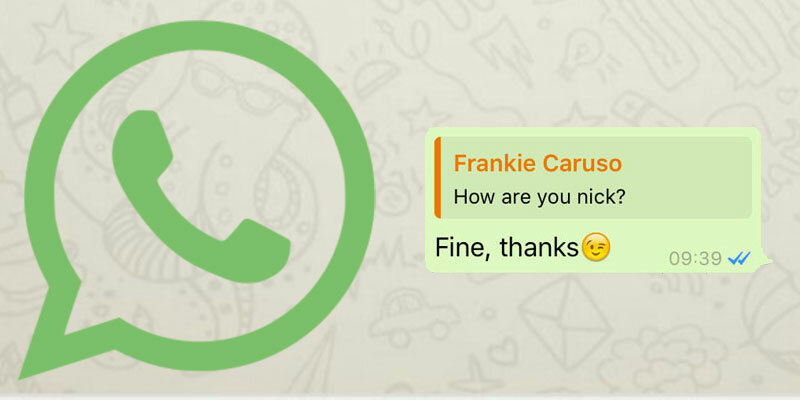 Developers recently rolled out an update with the long-awaited mention in WhatsApp conversations to reply to a specific message. It’s a real gift from heaven. Recently WhatsApp has released a stream of big news. Apparently it will support gifs and animated images soon, but meanwhile the latest version finally allows us to reply to individual messages in WhatsApp groups. Basically, you can choose to reply to a single message within a group in just a couple of taps. This is particularly useful for groups made up of many people, but also to mention old messages within a chat. In short, as in the forums of the nineties – but also the mentions on Telegram and Twitter – we can select a specific message within the conversation, and respond only to that. The mentioned message will be appear precisely under (on Android) or above (on iOS) our reply. This new feature makes life easier, especially in groups with dozens of participants where too often it can be a headache to chat to specific people.